TeenSafe Reviews - Is it a Scam or Legit? TeenSafe is an online software program that allows parents to discreetly monitor their teen’s texts, phone calls, social media interactions, phone location, and more, without requiring their devices to be jailbroken or rooted. Because of this, TeenSafe has been used by more than 500,000 parents to empower themselves with knowledge, and to help keep their teens safe. Watching your child transition into an adult is difficult enough, without worrying about who they’re talking to, what kinds of conversations they’re having, what they’re viewing online, and much more. And although modern technology has opened countless new doors, it can also open the door for danger. But can TeenSafe help you keep your children safe? First, let’s take a look at how it’s claimed to work. TeenSafe is claimed to work with all Apple and Android devices, including iPhone, iPod Touches, and iPads. In fact, the company claims that TeenSafe is the #1 tracker for iPhone. Sent, received, and deleted SMS and iMessages. Incoming and outgoing call logs, which includes important information such as contact name, number, date, and call duration. Deleted WhatsApp and Kik messages, in addition to monitoring Facebook and Instagram activity. Web search and browsing history. Current location and location history. Important note: As we mentioned in our article about keeping your children safe in an increasingly connected world, sending provocative images through text (known as “sexting”) is highly common among teens and young adults. From this perspective, TeenSafe might not be ideal, because although you’ll be able to see when an image or video is sent and to whom, you won’t be able to see the image or video itself. Instead, the text “Possible MMS data/attachment” will appear, along with a time and date stamp. One of the biggest benefits claimed by TeenSafe is that their software doesn’t require your smartphone to be jailbroken or rooted in order for it to work. But what do these terms mean? In layman’s terms, jailbreaking and rooting allow users to expand the capabilities of their smartphones that would otherwise be restricted by the manufacturer. While jailbroken and rooted phones can typically be restored to their factory settings by reinstalling the operating system, if something happens to your smartphone while it’s jailbroken/rooted, it could void your warranty and leave you footing a very large bill. Should You Monitor Your Teen’s Activity? This is something that you’ll have to dig deep and answer for yourself, since every teen, parent, and situation is different. In fact, if you search online for other parents’ opinions about “snooping” on your children, you’ll find almost as many different answers as there are parents. Even professional psychologists/psychiatrists will disagree to some extent about whether or not you should monitor your children’s smartphone activity. With this said, some parents are adamantly against it, stating that it violates the parent/child trust relationship. On the other hand, there are dozens of heartbreaking stories online about how TeenSafe helped children avoid sexual predators, cyber bullying, and much more. What Are Parents Saying About TeenSafe? TeenSafe Inc. was founded in 2011 and is based out of Long Beach, CA. The company holds a B rating with the Better Business Bureau, with just one closed complaint (as of 2/12/15), which referenced difficulty cancelling the free trial. Despite the length of time they’ve been in business though, there wasn’t a whole lot of user feedback for TeenSafe at the time of our research. There were also 4 user reviews on SiteJabber, with an average rating of 3 stars. One reviewer complained about difficulty cancelling their trial, while another complained that if your teen changes the passwords on any of their accounts (Facebook, Instagram, etc. ), you won’t be able to monitor it until you learn the new password. The remaining two reviews were positive. SnapChat is an extraordinarily popular mobile messaging app that’s been around since 2011—in fact, it’s the third most popular social networking app among Millennials, with more than 8 billion video views per day. Every video and picture (called a snap) sent through SnapChat is only viewable for 10 seconds after being opened, and then it disappears forever. Well, that’s not exactly true. If a user wants to save an image they received through SnapChat, they can simply take a screenshot, save it to their phone or computer, and have it available indefinitely. For this reason—not to mention cyberbullying, the proof of which disappears after a few seconds—a lot of parents are concerned about their teen’s safety and privacy when using SnapChat. Unfortunately, TeenSafe does not currently monitor SnapChat, and given its immense popularity, this means you could be missing out on a lot of the messaging—and potential sexting and cyberbullying—that your teens engages in. TeenSafe can be used for free during their one-week trial, after which you’ll pay $14.95 per month. Note: According to TeenSafe’s Terms, you’ll need to cancel your trial at least 24 hours before it ends in order to avoid being billed. In essence, this means you only have a 6-day trial. It’s also worth noting that, when searching through the Google Play store for the TeenSafe app, the only result available was for the TeenSafe Support App—not the app installed on your teen’s smartphone. If you have questions, or need to cancel your TeenSafe trial/subscription, you’ll need to contact their support line at (800) 245-8598. Can TeenSafe Help You Keep Your Children Safe? Chopping to the point: Overall, it appears that TeenSafe has a mostly positive online reputation with parents, especially due to the fact that it can work without requiring smartphones to be jailbroken/rooted. However, there may be some technical know-how needed in order to get TeenSafe set up properly, and it almost certainly won’t work flawlessly (e.g. no images/videos can be viewed, not all deleted texts are available, etc.). On top of this, if your teen isn’t connected to WiFi or changes the passwords on one of their accounts, you’ll be blocked from viewing their activity, so it shouldn’t be considered a foolproof solution. With this said, at $14.95 per month and by helping to maintain your smartphone’s warranty, this seems like a small price to pay to keep your child out of harm’s way. I've had all the same experiences as all the other reviewers here. It worked for a few months back in 2017 and after realizing we could trust our kids cyberly, we chose to cancel the service. But we were still charged monthly. Couldn't contact support because their emails always get sent back. Decided to change the payment method to PayPal because my PayPal is empty and it'll get declined, but nope, it's been coming out of my bank instead. Tried to contact them again and the email was non-deliverable. Less than an hour after I canceled my auto pay on my PayPal account I get an email from TeenSafe telling me to update my payment info. Really? For what? I haven't even been able to login to my account for almost four months now because there's no longer a login tab on their site. I emailed the support email that was at the bottom of the update payment message they sent me and wow, it's undeliverable, SURPRISE! These people are scam artists and I think all parents being scammed by this company need to file a class action suit and get our money back. Three months and not a stitch of data added. I went back and forth on emails and was always told to follow the same script of iClould back-up...blah, blah, blah. I followed it to the letter and nothing! Even disabled two-factor authentication to make it easier. Fool me once, this one's on me, but hopefully, you can save your hard earned money from the get-go! I'm very dissapointed. They didn't tell me that if the teen's device has a two-factor authentication ON (that by the way you can never turn off on the iCloud), you can't check the data. So beware, they won't give you your money back either. So I would not recommend TeenSafe. Sorry you are having this issue. When Apple issues significant updates, we often need to make adjustments to our software. We are working very hard on this and hope to have it resolved very soon. That being said we absolutely will and are issuing refunds. Please contact me at Ruth.Doering@TeenSafe.com so I can look into this for you. We’re hoping the issue is resolved soon. I joined TeenSafe several times throughout the years based on parental need. I was usually pleased but each time the information was more restrictive and the info obtained was not complete. Some apps are no longer supported. This last time was an absolute waste of money and time. Support was just not interested in servicing me and after months (over 6) of "refresh" and "try again," I called it quits and can no longer vouch for them. There has to be a glitch that only allows me to see old data and nothing current despite having the correct information. It acts as if it is obtaining new data and even confirms new data has been loaded via email but I am unable to see anything. Support was not very supportive. I cannot recommend based on my latest experience, which is sad considering I would recommend them to every parent in school and work. I just wrote a review similar to Mildred's. You guys are not being transparent! You have to tell people that if the teen's iPhone has the two-factor authentication, they won't be able to see anything! You should be refunding the money TeenSafe! I spent hours trying to figure things out! 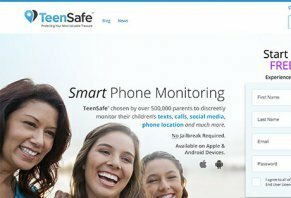 TeenSafe sent an email to my 14-year-old son telling him his phone was being monitored! This completely defeats the purpose! I would have never paid the monthly fee for this if I had been told this. They refuse to refund my money. I canceled immediately. I DO not recommend this app! I tried and thought I had failed to set up an account in January 2017 for two kids. I hate to say this, but I just realized this company has been pulling $14.95 two times each month from my husband's bank account since January 2017! I called the company. They said they took the info and have been pulling the funds but the accounts were never activated. I never got an email or anything from them; they have simply been taking the funds. They offered me a six-month refund and offered to close the accounts! RUN. DO NOT give them your payment info! This site is a scam, do not be fooled by this site. Apps are not working, no customer service. They will charge your credit card monthly, so beware, this is not a one-time app payment. Though I canceled my subscription because it's not working, they are still charging my credit card. We’re afraid you have us confused with another company. We do not offer service in the Philippines. We have millions of parents who have used our services so we are by no means a scam. If you’ve canceled there is no way we can keep charging your credit card. Please send me your email address and will check into this for you. You can email me at ruth.doering@teensafe.com. TeenSafe helps us, parents, to keep an open communication with our kids. By letting them know we are monitoring them we express our concern for their safety and make them understand there are ground rules we establish at home which we expect they follow at all times. When you teach your child about digital safety and make them understand that having a cellphone comes with great responsibility, I believe it makes them more aware of how they conduct themselves out there in the world and know to come to us if they safety has been compromised. Thank you, Natalie. It was our founder whose daughter was being viscously cyberbullied who felt that other parents would benefit from tools that help parents navigate through today's digital minefields. Appreciate your support. I subscribed to this app a year ago. It was complicated to set up, and I did so, apparently successfully. The test worked immediately after I set it up, as described. However, the next day, when I attempted to use the app on my phone, I got a message saying that "my account was suspended - contact Apple for payment." There was a link to my Apple settings, which showed the account as active. I have been charged every month for this app; my Apple account shows it as active, yet I have never been able to use it. Every time I open the app I get the same "account suspended screen." Attempts to contact TeenSafe about this have been ignored. I finally got on the phone with an Apple rep and the account is now canceled and payment stopped. This went on for almost a year. Sorry, you had this issue. Due to the complicated installation process, TeenSafe has discontinued selling the current version of TeenSafe Control. We are working diligently on a new successor. The Control product still works for our customers so we’re not sure what happened in your case. If you send me your email we can look into this as we’re not a scam and respond to every customer support inquiry. Please contact me at ruth.doering@teensafe.com, and I can address what happened. As soon as I entered my child’s Apple ID and password, she received a notification, and she changed it, and this makes this account ineffective. It also does not show the history of text messages, it only goes back a very limited time and does not show messages which have been deleted. A waste of money. It doesn’t do what is advertised. I should have read the other reviews first before purchasing. We certainly understand your frustration as the Apple iCloud lockout issue has impaired our monitoring services that help parents keep their kids safe. The iCloud lockout issue affects some but not all of our users and sorry it affected you. We’ve been able to resolve for many parents and would appreciate the opportunity to see if we can for you. Please call our customer support team to help resolve (800)245-8598 or email at support@teensafe.com, as they may be able to get it working for you. Again, we understand your frustration and are working on a workaround to the changes Apple made to their software that has affected all monitoring software companies. To tell the truth, I felt unsecured to use in a first place, but after reading lots of feedbacks, I decided to try. I only used their "Monitor product." The entire process was something like that: you're kind of giving away your password then you don't hear back for a while (something to do with upload and download of data), then you still wait...huh. Then you finally see something that may surprise you. Overall, the TeenSafe product actually helped your family. But be ready for surprises. Write a Review for TeenSafe!